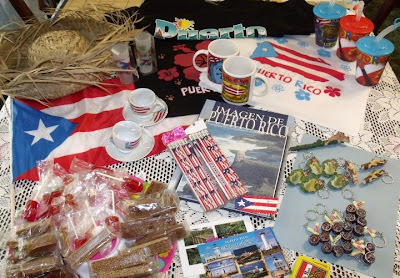 I first learned about Worldwide Cultural Swap from a post that Multicultural Familia had shared on their Facebook page. Of course, I was immediately hooked, and excited to join. I signed up and was contacted via email if I wanted to participate. Of course, that was a yes! So we were assigned to Group 66 with four other families from Norway, Florida, South Africa, and Hawaii. 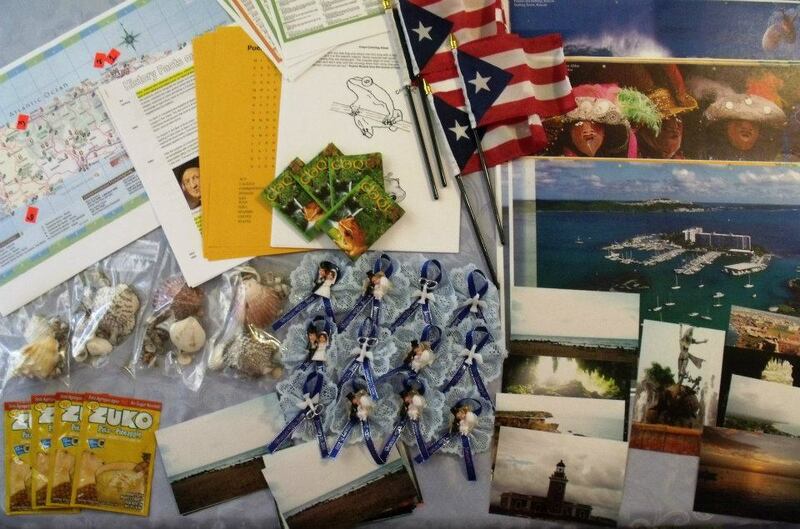 This is our 1st package representing Puerto Rico. 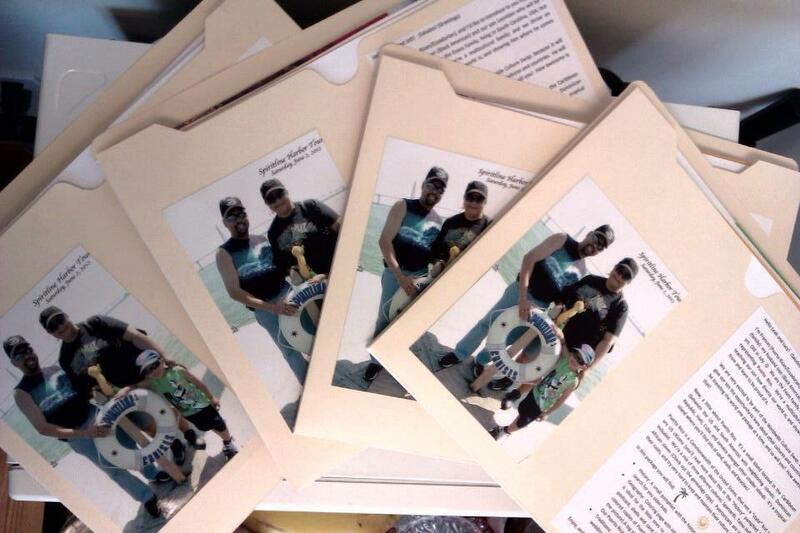 “Capias” of our wedding to show our Puertorican tradition. 🙂 For those who don’t know, here’s an explanation: (This is a note I added to the package with the capias) In Puerto Rico it is customary that the bride pins “capias” on her guests. The “capia” you see in your package is a wedding souvenir that the bride gives to her guests. This one is from our wedding in 2008. I saved a few, and how great it is to share it with you! The “capia” is made with a thin satin ribbon with the bride’s & groom’s name/wedding date engraved on them (It’s in English, because we married in South Carolina, USA; but I wanted to have some of my culture present in our wedding.) The ribbon is placed on a lace or other material with a decorative piece on top. A pin is included so that the bride can put it on her guests as a corsage or boutonniere. 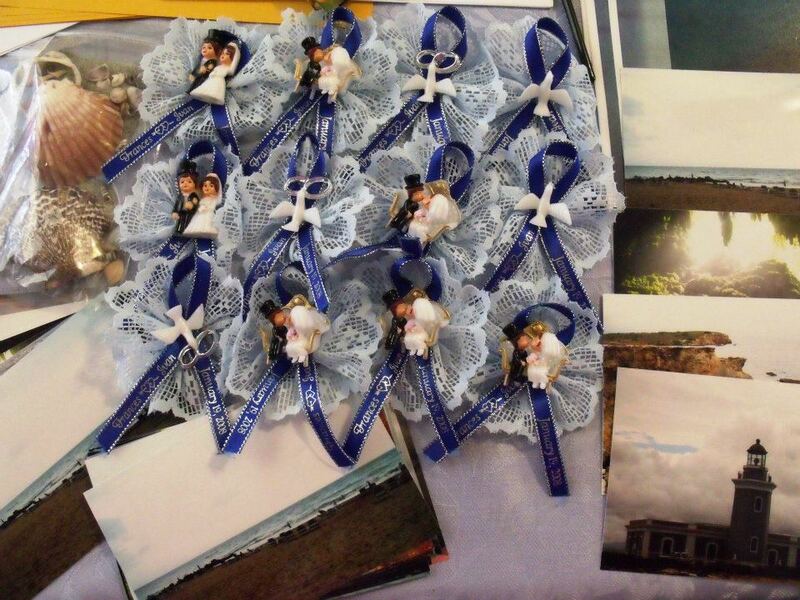 This way the bride is able to see all her guests, and give them a wedding souvenir. Puerto Rico flag, and poster size colored copies of pictures taken from a Puerto Rico calendar. 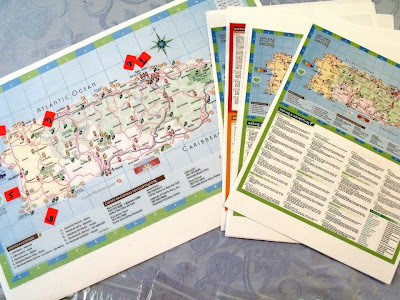 A large map of Puerto Rico (with numbers on it, that can be matched to the pictures included – they have the numbers in the back of ea. picture). Smaller map with a legend. Shells with sand (not pictured, but I added sand afterwards), pictures of Puerto Rico, and a Pineapple drink. 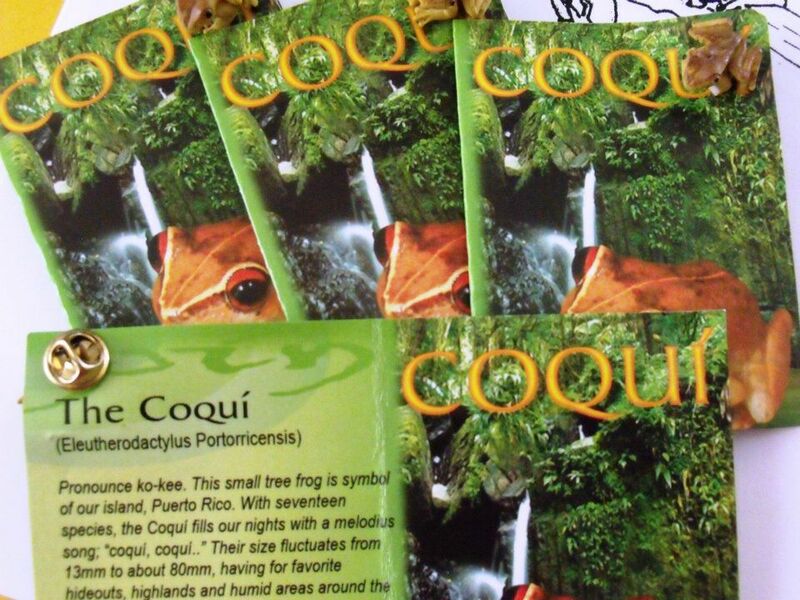 Coqui pin attached to a card. 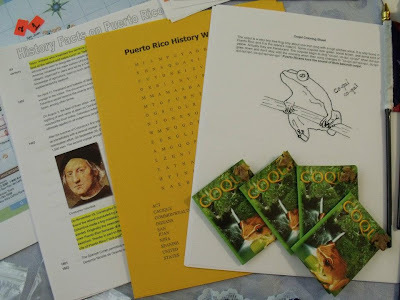 History facts on Puerto Rico, a word search (for the older kids), Coqui fact sheet with a 2 coquis to color (for the smaller kids), a Coqui pin attached to a card. We’re participating in our 2nd Worldwide Cultural Swap, and we’ve added mostly the same as above, except with some extra goodies. 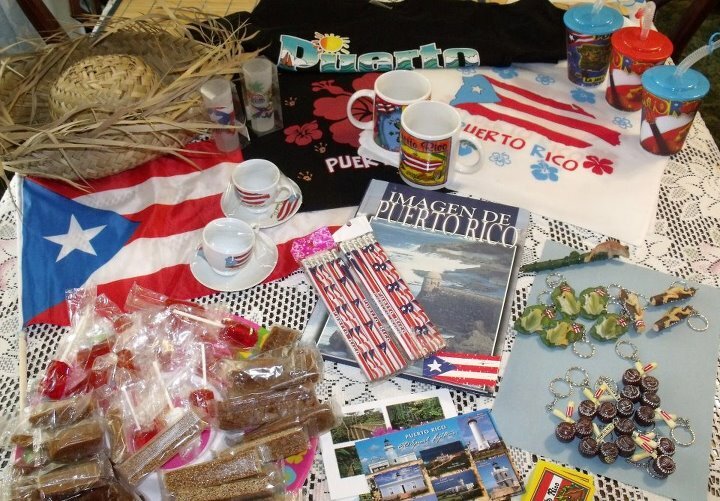 Check out at all the goodies that Mami has brought from Puerto Rico! 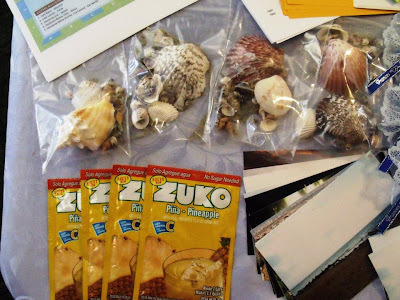 All of this is for my Worldwide Culture Swap exchange! I’m getting ready for my 2nd swap with Oregon, Qatar, England and Ohio. 🙂 I have all my packages ready, though I didn’t include everything you see in the above picture, I did divide and saved some for some future swaps. • History: A small pamphlet with the history of Puerto Rico and a word search for the older kids. 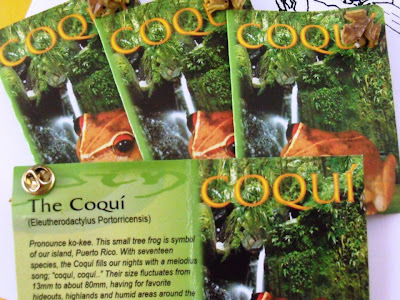 o Coloring page with information on our beloved “Coquí” this is ideal for the little ones to color with a “Coquí” key chain, and shells from Puerto Rico. 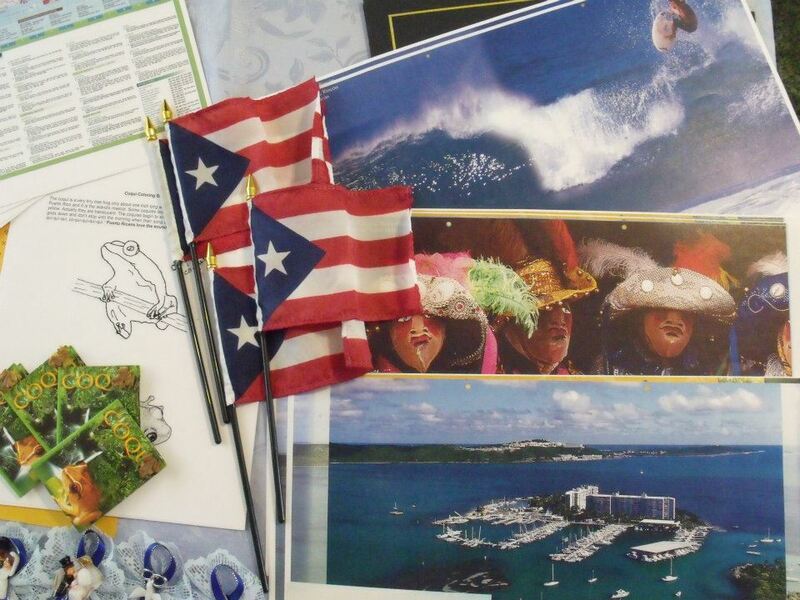 o 4×6 pictures and larger colored copies of Puerto Rico (small explanation will be on the back of the picture). 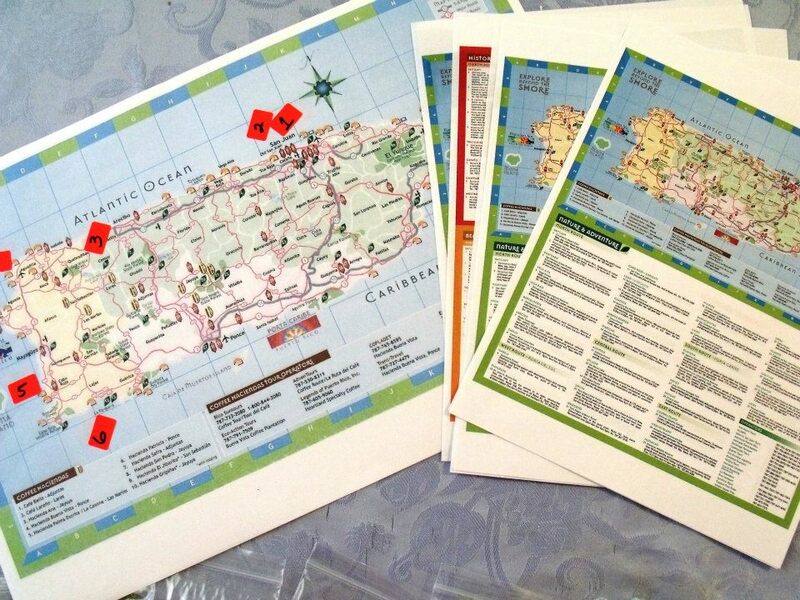 o A big map of Puerto Rico, and smaller one with the legend. • Traditions: “Capias” (our wedding souvenir) traditionally used in weddings as a wedding favor or souvenir for guests. • Food: We decided to send some sweet treats our famous “Pilón” (Tropical lollipop with sesame seed) and our “Dulce de Ajonjolí” (Sesame seed candy). Music: Puerto Ricans love music, especially playing their “maracas.” “Maracas” is a rattle used as percussion instrument. It’s an instrument consisting traditionally of a hollow gourd filled with small pebbles or beans. “Maracas” are usually shaken in pairs as an accompaniment to Latin American music, very popular in Puerto Rico. We’ve sent you a small maraca in a key chain, and of course some plastic colorful one’s for you to shake and play some music. Little one has a few “maracas” and he loves to shake them and sing songs while playing. We sent some sweet treats our famous “Pilón” (Tropical lollipop with sesame seed) and our “Dulce de Ajonjolí” (Sesame seed candy, and we’ve also included the recipe).